Or what shall a man give in return for his soul? Malakhi 4:2 But to you who fear My Name The Sun of Righteousness shall arise With healing in His wings; And you shall go out And grow fat like stall-fed calves. ....Loukas 4:18-19-Yeshayahu 61:1,2 "The Spirit of Adonai is upon Me, Because He has anointed Me To proclaim the Good News to the poor; He has sent Me to heal the brokenhearted, To proclaim liberty to the captives And recovery of sight to the blind, To set at liberty those who are oppressed; To proclaim the acceptable year of Adonai. "....Mattityahu 4:23 And Yeshua (ישוע) went about all Galil, teaching in their synagogues, proclaiming the Good news of the kingdom, and healing all kinds of sickness and all kinds of disease among the people......Mattityahu 10:1 And when He had called His twelve Talmidim to Him, He gave them power over unclean spirits, to cast them out, and to heal all kinds of sickness and all kinds of disease. The followers of Yeshua (ישוע) are known as Messianic Believer, originally belongs to a sect of Judaism known as "The way" or Nazarene, in some instance also known as Hebrew Christian while the Non-Jewish believer Ger Toshav who have turn away from idols would call themselves as Christian - Kristiano. The Messianic or 'The way" understands the Deity of HaShem הי as ONENESS in Essences ABBA (Father), Yeshua (ישוע) (The Son of HaShem הי), Ruach HaKodesh (Holy Spirit) One in Unity, the ONENESS is unity HaShem הי of Yaakov, One in Purpose and in Majesty. Beit Midrash Torah Seeker - Newly refurnished of the former Face book page an extention of this website, meaning House of Study Torah Seeking, enjoy some messianic songs. Some studies of Rabbinical teaching, Ben Noachide, Messianic Ger Toshav, Ger Tzeddek. Douleuo Christian Community - non-Jewish Messianic a Christian church base community, enjoy Hokien, Cantonese, Chinese dialect Christian Worship songs Hope to include Japanese Christian songs, good old days Hymn of Faith. Douleuo is a Greek word meaning Serving, to encourage to be serving-christian in love, practice hospitality, believing Faith in Jesus / Yeshua with works, as James (Yaakov) 2:17 faith by itself, if it does not have works, is dead. encouragement, study the word of God - as unto Ger Toshav (non Torah observant or Ben Noachide believer in Jesus), God-fearing believer in Jesus/Yeshua. Encourage love for Israel. Beware and prevent of anti-Semite idealogy. Anti-Christian are not encourage. what does HaShem הי require of you? and to walk humbly with your Elohim? Shabbat Nachamu ("Sabbath of comforting) takes its name from the haftarah from Yeshayahu in the Sefer Yeshayahu 40:1-26 that speaks of "comforting" the Jewish people for their suffering. It the first of seven haftarahs of consolation leading up to the holiday of Rosh Hashanah, the Jewish New Year. How the Torah portion or Parashah works? We read each portion a day for our daily portion and to be shared when the group met on Shabbat. Why we observe the New Moon? Beware Jannes and Jambres BTW who are these two person? Who is Yeshua (ישוע) Ha Mashiach? Why, When and how the Synagogue Established? About the Dreidel and how to play? Who were the Zugot (一對)? What does the Scripture say about Hakhnasa Torehim - hospitality? What does the word Amein really mean? Should Believer celebrate Christmas winter festival - Should believer commit themselves to speculate the date of birth Yeshua (ישוע)? Yashanet Intensive Studies YaSHaNet is dedicated to helping followers of Yeshua (ישוע) become conformed to the Image of HA SHEIM, and grow in intimacy with Him, through a proper understanding of the role of Adonai's Torah in their lives. PAUL, THE MAN AND THE TEACHER IN THE LIGHT OF JEWISH SOURCES By Risto Santala. What is Kosher? - By Rabbi David Markel Hall - If you are a gentile, you do not need to keep rabbinical kosher to be righteous in G-d's sight. If you want to keep kosher, it is your choice as to how far to go. No one should put pressure on you to go beyond what is clearly and easily understood in Torah. MBI THE Tallit: GARMENT OF GLORY Copyright ? David M. Hargis. Have you ever heard of the Five Jewish Laws? From the Messianic Jewish Movement International : The Five Jewish Laws is a simple tool to introduce a person to the Jewish Mashiach using only Scriptures from the Jewish Scripture. 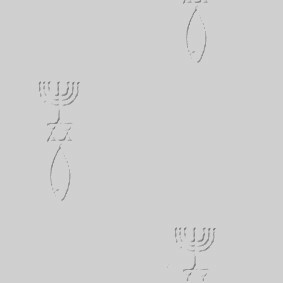 Machon HaMikdash / Temple Institute מכון המקדש - is an organization in Yisrael focusing on the controversial endeavor of re-establishing the Third Temple. Is It Wrong to Have PICTURES of Yeshua (ישוע) ? Yes, it violate the commandment of Adonai Exodus 20:5, 5: "Thou shalt not make unto thee any graven image, or any likeness of any thing that is in heaven above [note, the command is against any likeness, no matter what form], or that is in the earth beneath, or that is in the water under the earth: Thou shalt not bow down thyself to them, nor SERVE THEM." The Complete Tanach with Rashi - Classic Texts - Torah - Bible for the Chabad. 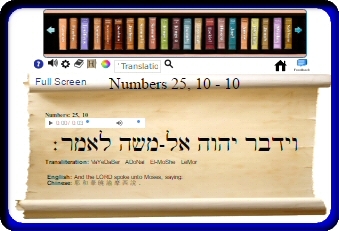 Resources : Israel, Scripture / Torah Study ﾿The search for Truth.